Autographed studio portrait of Second Lieutenant Philip L Howell-Price (later Major Philip L Howell-Price DSO MC) of the 1st Battalion. He subsequently served at Gallipoli during August and September 1915, where he was mentioned in despatches for his involvement in the Lone Pine battles. He also served at Armentieres in France in June 1916, for which he received the Distinguished Service Order (DSO), the Somme in July 1916, Flers in November and at Bullecourt in March 1917. He was awarded the Military Cross and later died at Broudseinde in Belgium on 4 October 1917. Head and shoulders portrait of Lieutenant (later Major) Philip Llewellyn Howell-Price DSO MC (1894-1917). 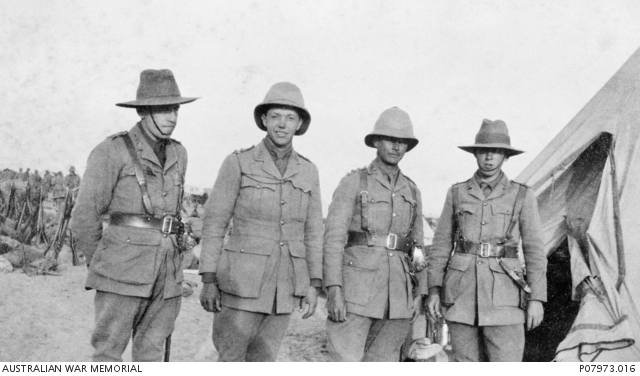 He was commissioned as a Second Lieutenant in the 1st Battalion AIF and subsequently served at Gallipoli in August-September 1915, where was mentioned in despatches for work in the Lone Pine battles. He also fought at Armentieres, France, in June 1916, for which he received the Distinguished Service Order, the Somme in July, Flers in November and at Bullecourt in March 1917. He was awarded the Military Cross and was later to die at Broodseinde, Belgium, on 4 October 1917. 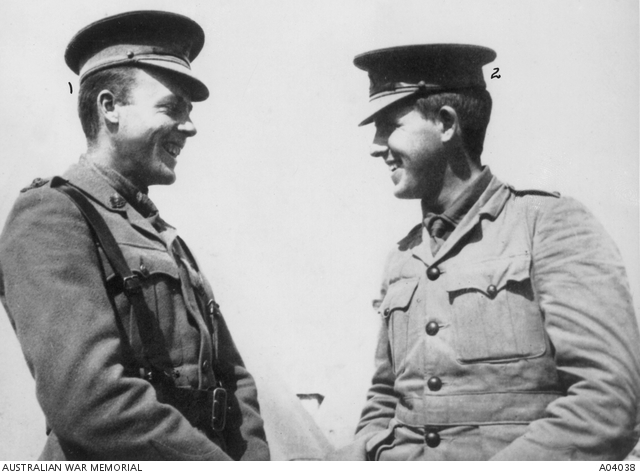 Portrait of Lieutenant John Bruce Buchanan (left) of the 1st Battalion, (later Major the 36th Battalion, who was killed in action on 12 October 1917, age 23) and Lieutenant Philip Llewellyn Howell-Price of the 1st Battalion, (later Major and awarded the Distinguished Service Order (DSO) and the Military Cross (MC)). 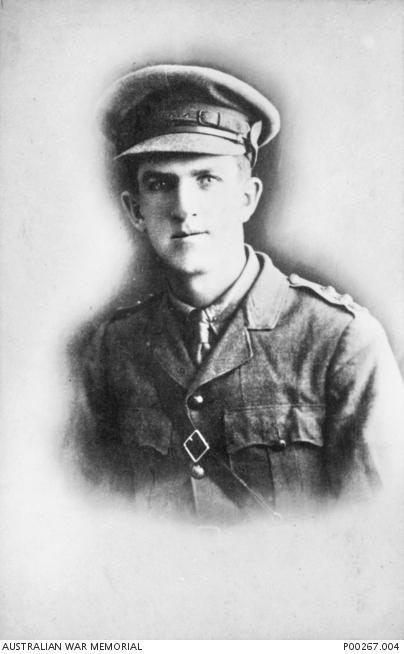 Major Howell-Price was killed in action in Belgium on 4 October 1917, age 23. Informal portrait of officers of the 1st Battalion. 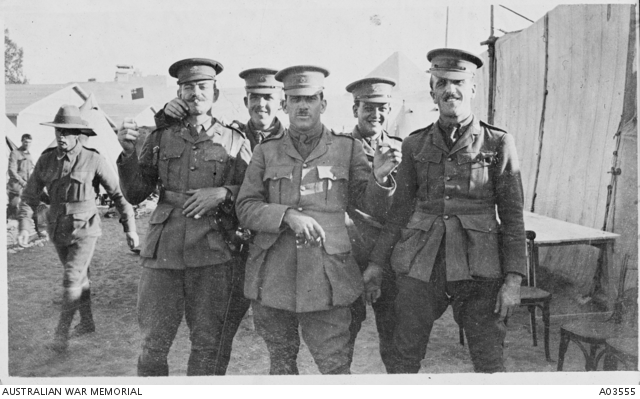 Identified from left to right are: Captain (Capt) Blair Inskip Swannell; Lieutenant (Lt) Philip Llewellyn Howell-Price; Lt George Frederick Wootten, holding a cigarette in his right hand and a box of matches in the left hand; Lt Arthur Champion and Lt Alexander Kenneth Mackenzie. Informal portrait of Lieutenant (Lt) Herbert Edwin Williams, A Company, 1st Battalion and Lt Philip Llewellyn Howell-Price, 1st Battalion. Lt Williams was killed in action at Gallipoli on 25 April 1915, aged 21. He has no known grave and is commemorated on the Lone Pine Memorial. Lt Howell-Price (later Major, DSO MC) was also killed in action on 4 October 1917. See also P07973.003. 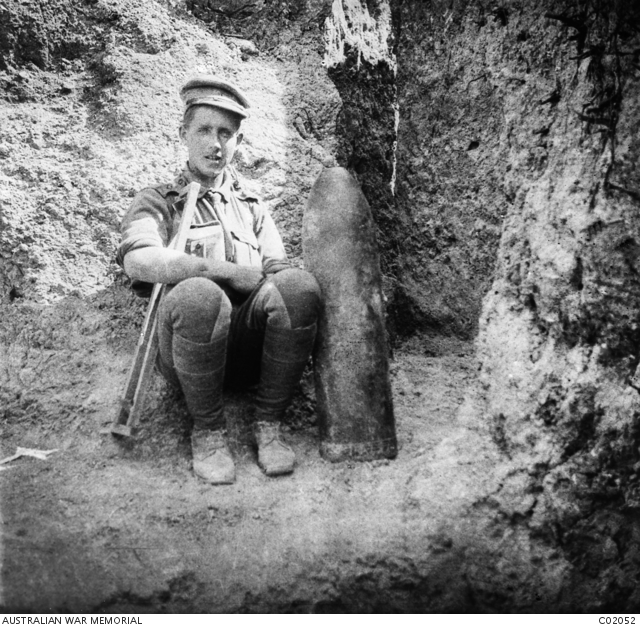 Portrait of Lieutenant (Lt) Philip Llewellyn Howell-Price, 1st Battalion, seated in a trench with a Turkish dud shell. Later rising to the rank of major and winning the Distinguished Service Order and the Military Cross, Lt Howell-Price was killed in action in Belgium on 4 October 1917. See also A04038. An autographed group portrait of five Australian officers. Back row from left: Major (Maj) Noel Edmund Barton Kirkwood MC, 1st Field Ambulance, AAMC (returned to Australia 1918); Captain Hayward Hugh Moffat MC, 1st Battalion (died of wounds 21 September 1918); Maj Philip Llewellyn Howell-Price DSO MC, 1st Battalion (killed in action 4 October 1917). 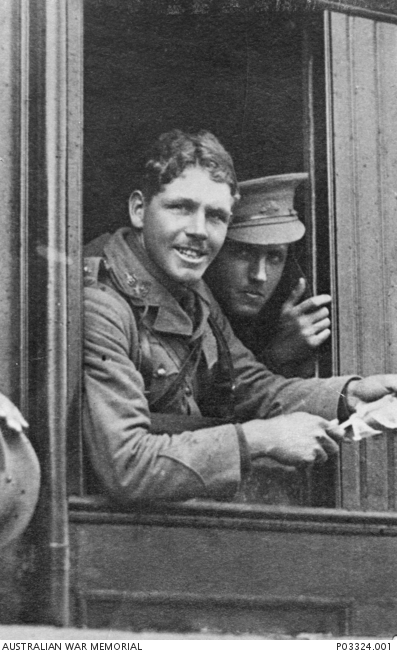 Front row: Lieutenant (Lt) Charles William Henry Rollo Somerset MC, 1st Battalion (returned to Australia 1918); Lt Francis Leonard Flannery, 1st Battalion (returned to Australia 1919). Informal outdoor portrait of four 1st Battalion officers. 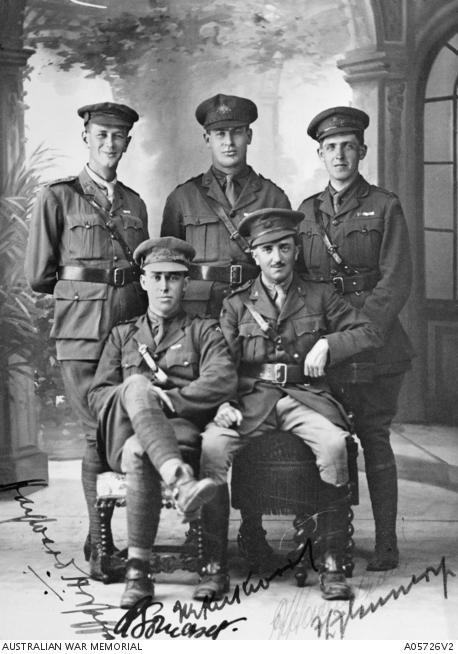 Identified left to right; Lieutenant (Lt) Royston Kennilworth Sydney May; Lt Herbert Gordon Carter; Captain Albert John Joseph George McGuire and Lt Philip Llewellyn Howell-Price. Lt May suffered gunshot wounds at Gallipoli on 25 April 1915. He was evacuated to the No. 1 General Hospital in Heliopolis where he died on 16 May 1915, aged 20. Lt Carter (later Lieutenant Colonel Carter) was awarded the Distinguished Service Order (DSO) in 1917 and returned to Australia in 1919. Captain McGuire was wounded in action at Gallipoli on 25 April 1915 and was evacuated to the Bombay Presidency Hospital in Alexandria where he died of his wounds on 7 May 1915, aged 23. Lt Price (later Major Howell-Price DSO MC) was mentioned in despatches for his involvement in the Lone Pine battles. He also served at Armentieres in France in June 1916, for which he received the DSO, the Somme in July 1916, Flers in November and at Bullecourt in March 1917. He was awarded the Military Cross and later died at Broodseinde in Belgium on 4 October 1917, aged 23.